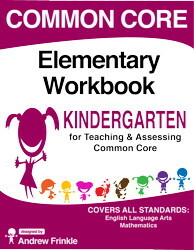 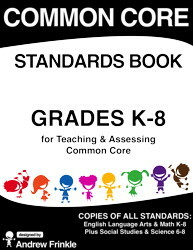 These workbooks work in any state in the country, whether you're using common core or not! 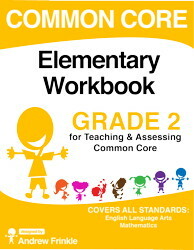 These workbooks have also been developed for reusability! 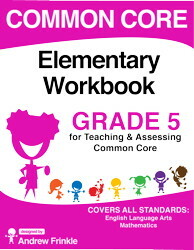 These workbooks include key vocabulary terms. 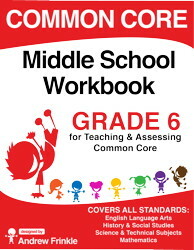 The assessments are not dependent on any specific textbook series. 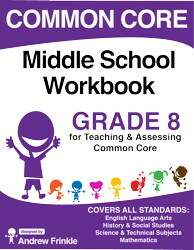 These workbooks cover all the major subjects. 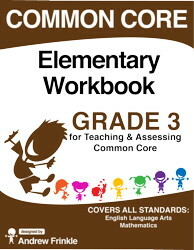 These workbooks work for grades K-8! 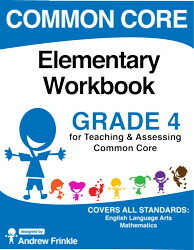 These workbooks come with sleek, professional-looking forms, adding to your tests and quizzes! 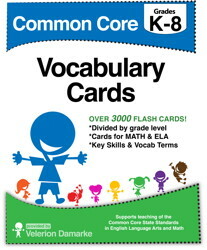 The designs are attractive and eye-catching, making learning more fun for kids. 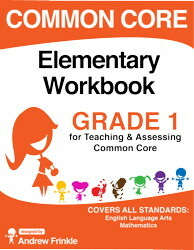 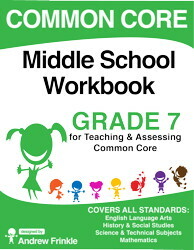 These workbooks are a very affordable option compared to other common core programs. 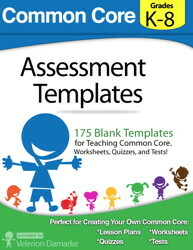 Preview before purchasing with our FREE Samples!